This house, newly built in 2015, is located in Dramalj, the suburb of Crikvenica. The house was very high quality and stylish built where expense has been spared. Since the house has been designed especially for tourism, and consists of 6 apartments, it is ideal for a successful holiday. All furnishings are of high quality and modern. It consists of 1 living / dining room with kitchen, 1 bedroom, 1 bathroom, the entrance area and 2 very nice balconies. The owner family has a long experience in tourism and is always ready to make your stay as comfortable as possible. The family has an award-winning restaurant, just 20 meters located from this apartment. After consultation a bread delivery service is available for purchase. Breakfast is also available on site and is served in the restaurant next door. 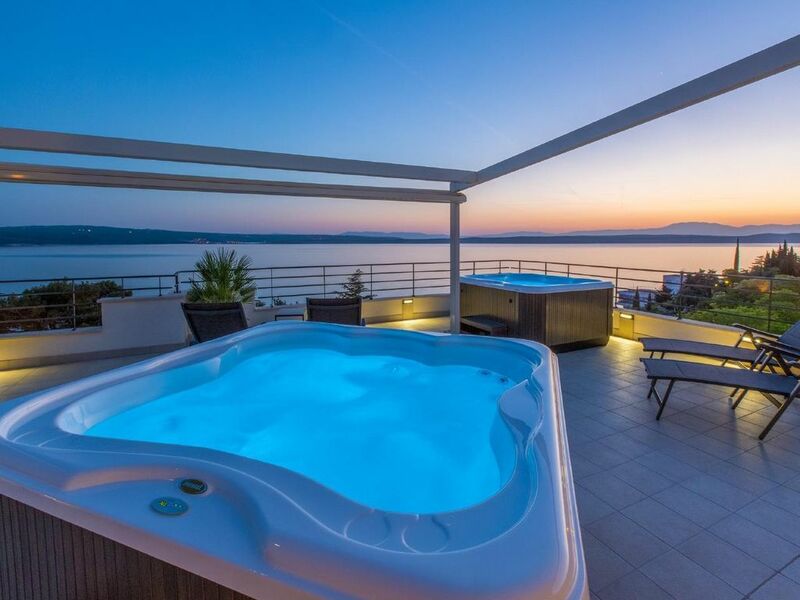 On the roof terrace there are sun beds, sauna and 3 whirlpools (each suitable for 4-5 persons). Everything is available to the customer on request in the appointment 08-24 clock and a maximum of 2 hours daily. Washing machine in the apartment: per object and day included in the price (compulsory). Bicycle for rent: per person and day costs of 10 EUR (optional). Breakfast on offer: 6 EUR per person per day (optional).